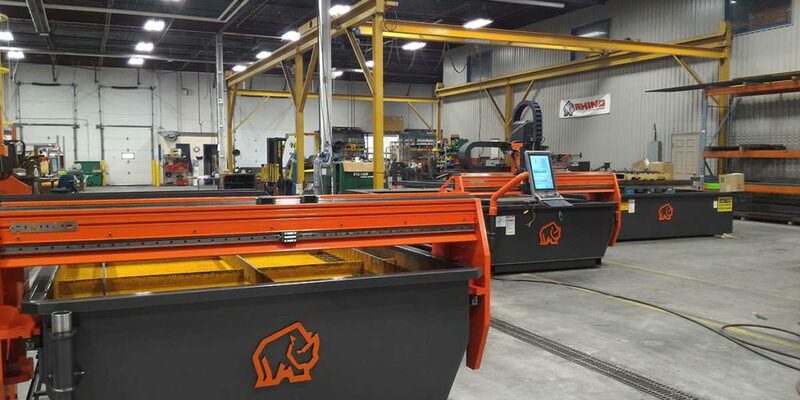 At Rhino Cutting Systems we manufacture the latest in laser cutting, plasma cutting, oxy-fuel cutting machines, and much more. 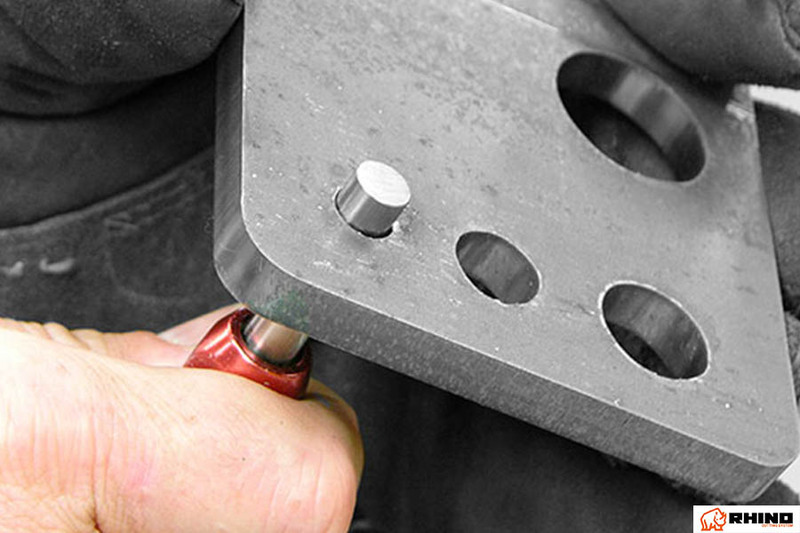 Equally, we serve our customers with the best in cutting machines performance and service. 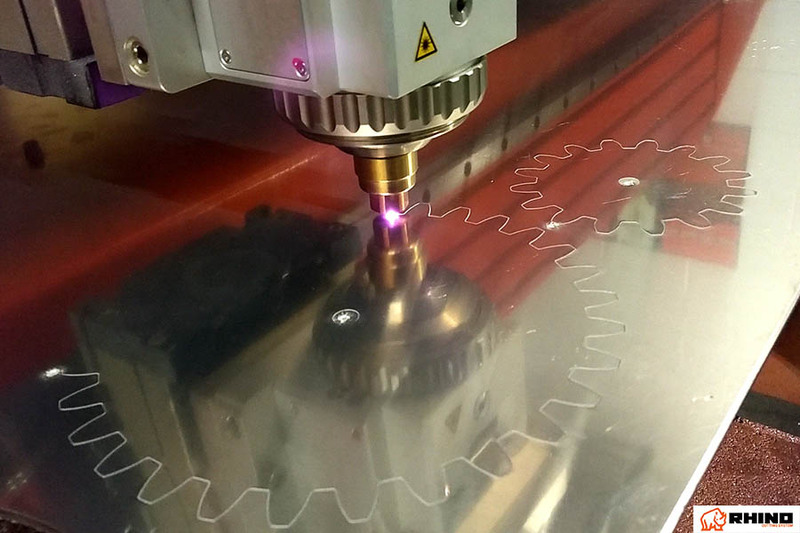 One question most of our customers usually asked is, “Should I use laser cutting or plasma cutting?” In this article, we will look at the differences between laser and plasma cutting, and the type of projects you can use these technologies for. Laser cutting is a technology that uses a laser to cut materials and is typically used for industrial manufacturing applications. This works by directing the output of a high-power laser most commonly through optics. The laser optics and CNC (computer numerical control.) are used to direct the laser beam onto the material. The high-power beam rapidly heats, melts, and partially vaporizes the metal, or is blown away by a jet of gas, leaving an edge with a high-quality surface finish. The laser cutting machines we manufacture are used to cut flat-sheet material as well as structural and piping materials. Plasma cutting is a low-cost cutting which, provides high speed and precision by way of a melting process. In which, a jet of ionized gas is used to melt and expel material from the cut. Typical materials cut with a plasma torch include steel, Stainless steel, aluminum, brass, and copper, although other conductive metals may be cut as well. Plasma cutting machines are often used in fabrication shops, automotive repair, and restoration, industrial construction, etc. Like a laser cutter, a plasma cutter ultimately cuts through metal by melting it. Our plasma cutting machines are powered by the Ultra-Cut XT technology by Victor Thermal Dynamics. This technology provides the next generation of higher productivity, increased flexibility, and confidence in high precision plasma cutting. Lasers are typically more expensive to operate but offer a level of detail that plasma cutting does not. Therefore, lasers are great for engraving details or cutting out small shapes from the metal, whereas plasma is better for more simple cuts. Plasma cutters can cut through thick sheets of metal. In general, a plasma cutter can cut through metal up to 1.5 inches thick. Lasers, on the other hand, can cut through half-inch thick aluminum, three-quarters-inch thick stainless steel, and one-inch thick steel. Plasma can only cut materials that conduct electricity, whereas lasers have been used to cut wood, plastic, glass, and other materials. This is because the plasma uses electrically conductive gas to create the cuts, rather than a beam of optic light. Lasers cannot cut highly reflective materials like copper, so plasma cutting may be the best option for materials like this. However, plasma can cut through any conductive metal, regardless of the surface. Laser cutting has a tighter tolerance of just .002 inches, making it ideal for precision cutting or parts that have intricate notching. Both laser and plasma cutting machines we manufacture use CNC (Computer Numerical Control) to control the machines. This provides greater accuracy and faster production. Whatever you need for your project, Rhino Cutting Systems is here to help you make the right decisions. 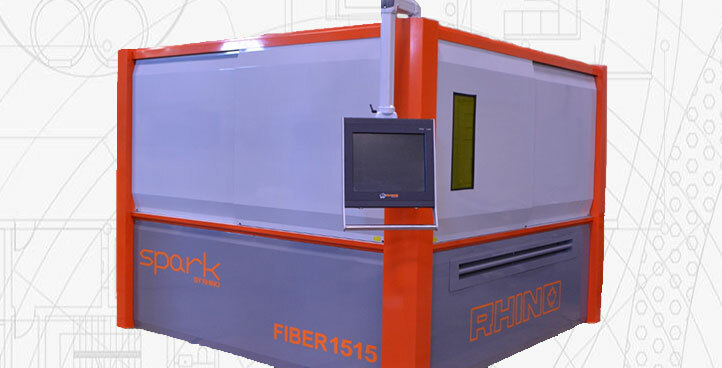 Rhino’s plasma and laser cutting machines are manufactured using the most modern and efficient technologies. From Bevel, Drill, Production Operation Protocol (POP), Fiber Laser, Height Control, Auto Gas Box and many more. These technologies offer complete, turnkey equipment solutions, Rhino Cutting Systems bridges the gap between cutting processes and motion control. Our laser and plasma cutting machines are designed to optimize cut quality and reduce cycle times as well as save precious raw materials. Let’s face it, no two projects are the same. Time and budget restraints can factor into whether or not you choose our laser cutting machine or our plasma cutting machine. Additionally, the type of project, as well as the thickness of the material and level of detail needed, will definitely play a role in the one you choose. Regardless of the machine you choose, the final product will be just what you wanted. Contact the experts at Rhino Cutting Systems today and let’s work together to find the perfect machine for your next project! The article below by James Robins outlines three ways in which business process automation in manufacturing business pays off. Automation in manufacturing is already commonplace, but as consumers become more demanding and the industry becomes more competitive, more and more companies are turning to technology to help automate and optimize time and labor-intensive processes and workflows. By automating the way data is being captured, stored, and shared using advances in cloud and mobile-based technologies, manufacturers can optimize their processes and make better business decisions based on access to key operational information. Today’s manufacturers are always chasing the big picture. Having the ability to access and interpret business information across the enterprise — from the shop floor to the head office and across the supply chain is no longer a nice to have — it’s a must-have. Yet manual workflows and disconnected systems can hinder the right information getting to the right place at the right time. With business process automation you get visibility into the process. Teams that are geographically dispersed can share work, communicate better, and find the experts they need to keep productivity at 100 percent. In the past this was only possible with costly bespoke solutions but using the ubiquitous connectivity of mobile applications and the power of cloud workflows, you can skip the paper chase and fast forward to automated business processes. This allows scenarios that were previously reserved for mega-corporations. For example, with easy-to-use cloud-based mobile platforms, you can move your most commonly used paper forms and data collection processes to smartphone-based applications, creating a standardized and automated workflow for collecting and sharing important information across the business. Such applications are easy-to-use, require no coding skills, are available online and offline (they synch automatically with the cloud once you’re back in range) and can be customized to any process, whether it’s quality assurance, maintenance equipment logs, or inspections checklists. Taking the latter as an example. Mobile inspection checklist applications streamline and automate the end-to-end process of conducting manufacturing inspection reviews. Pre-loaded or easily customized with all the form fields you need (and none you don’t), inspectors can enter the results of the inspection — who conducted it, what they found, and what, if any, anomalies were corrected — from any location. The data is then automatically and instantly uploaded to the cloud, where it’s stored securely. This data can then be presented in easy-to-use dashboards, to determine which machines are most likely to fail. These smart applications not only connect the business processes you already have, but they can also be scaled or adapted to other scenarios without the need to build new applications every time. The magic of digitized business process automation is that it eliminates silos across your firm. For example, data captured from systems and personnel into mobile applications can be linked seamlessly with other software (such as a Google Analytics, Salesforce, or legacy CRM tools) and processes using cloud-based integrations and APIs. This eliminates redundant data entry, speeds insights, and fuels course-correcting actions in a way that is impossible when the data stays on the rockface of the business or locked away in a filing cabinet. This automated process is also just one of many opportunities to cut the hours and effort involved in collecting and keying that data in manually. Mobile applications also allow you to easily build in conditional route linking options for streamlined actions. For example, if an inspections checklist returns an anomaly with a temperature sensor, your quality assurance manager receives an automatic corrective action to fix the issue. He can also dispatch tasks to others and ensure approval sign-offs are captured with digital signatures, all within a single application. Finally, business process automation can make it easier to search for information captured over time. Whether you need to find data generated by a work order or site inspection form, because it’s digitally captured and stored in the cloud, rather than rifle through old filing cabinets, the data you need is at your fingertips. In this way, manufacturers maximize investments in existing technology investments and achieve higher levels of interoperability than is possible with manual processes. Manufacturers are subject to a range of regulations, many of which are constantly changing. Keeping track of all these regulations can be overwhelming. But compliance isn’t just a regulatory burden, in the interests of efficiency, workers and plant managers must also comply with standard operating procedures (SOPs). We hear repeatedly how companies are faced with the consequences of non-compliance and the potential loss of revenue due to individuals forgetting or unintentionally not filling in items on the forms they were assigned. But mobile applications designed to support business process automation can be customized easily without the help of an application developer so required fields can be locked down. For example, a safety manager who travels to different locations throughout the day can use an application to easily run through OSHA requirements and evaluate compliance right from within a safety checklist application. And, because the data that powers the application is stored in a centralized cloud repository, mobile form fields and checklists can be updated in minutes by the head office to reflect new regulations or SOPs and deployed immediately across the plant. This is a huge asset to compliance processes enforcing discipline, simplicity, and efficiency into the process. In conclusion, business process automation is about reducing the amount of human intervention as much as possible, bringing uniformity to certain processes, saving time, achieving standardization and compliance, and creating a more connected business. Take advantage of the tools available to you to automate the way your company captures, stores, and shares its data across people and systems — in a complete end-to-end framework. These tools also open the door for improvement in other areas as well. Having better data visibility and connected workflows allows your teams to see where they can improve and gives you the ability to stay ahead of the competition while staying compliant. James Robins is Chief Marketing Officer at GoCanvas. 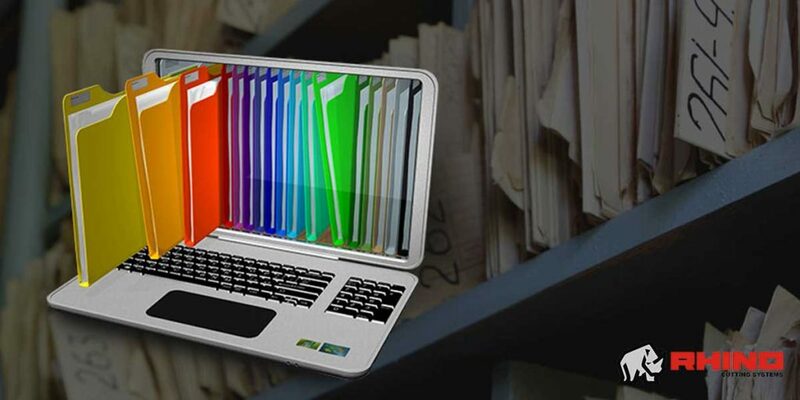 This article about digital document management was written by Jen Barnum is a marketer and customer experience professional at Naviant. We found this very useful and believe it can be of great benefit to you. More than often companies usually concentrate on their core functions and pay little or no attention to the “arteries” of operations. Such as document management. This article looks at the problems and then suggest the solutions in a sequential order. Read along you will be happy you did. Next, you’ll want to evaluate your electronic data. You’re probably familiar with how your company uses different software systems to conduct business. Accounting may use one platform while human resources use another. No two systems seem to be alike. What’s more, is they don’t speak to each other. Now is a great time to decide what electronic information is the most important to your day-to-day business practices. I recommend starting with the most critical departments. This way you are prepared to talk with vendors about building an interface to route data to the central repository. At this point you have choices! You know where your paper documents reside, and you have an idea of critical business processes. When it comes to paper content, you can scan your documents, or outsource. The advantages of outsourcing are plenty. The most significant being you get a cost-effective document imaging option without having to undergo a complete backfile conversion. Source – Jen Barnum is a marketer and customer experience professional at Naviant. The article below was written by Eeron Bergstrom he provides a very insightful look into how warehouse productivity can be improved. We believe that the tips outlined in this article, even though they may not be directly related to what you do, they can be translated into your own processing and operation. Improving efficiency in the warehouse is critical to meeting current consumer trends, which are being driven by e-commerce and home delivery of groceries. Warehouse productivity is affected by the type, size, and variety of materials being moved in the warehouse to meet these demands. While changes to these factors over time may increase or decrease performance, the one absolute affecting productivity is optimizing routine processes. Using mobile weighing technologies to reduce truck time at the dock (turn-over) can have one of the greatest effects on a company’s key performance indicators (KPIs). Trailer/truck loading – Getting a trailer loaded quickly and correctly improves cycle times and door turn-over. Quicker loading increases the number of units processed and reduces costs associated with wait times and reloads. Scale products play a huge role in increasing productivity. For example, mobile forklift scales increase the on-time delivery percentage and number of orders per hour, while counting scales improve order accuracy percentage and increase the lines picked. Pallet jack scales reduce the cost per order. All in all, the right scale products help operators achieve overall equipment efficiencies. They will result in a reduction of overtime hours and cost-per-unit (CPU), and improvements in the units-per-hour (UPH). Labor utilization, in general, can be greatly improved. By purchasing equipment that can be used in a variety of areas with a variety of processes, the cost of doing business will be reduced. Reducing cycle times and turns happen only after driving out inefficiencies. Equipment that allows operators to collect information quickly without unnecessary motion or travel will improve the process. Technology can improve any organization if the people are properly trained in the process and operate the equipment. Train, train, and train again, to get the best return on one of your biggest investments – people. Communication is critical in human interaction. It is also vitally important in processing information within the warehouse environment. Equipment that shares mission-critical data through Bluetooth or Wi-Fi quickly shares information with billing and tracking systems and will improve warehouse operations. Always look to implement new procedures and look to modern technologies – or different ways of applying old ones – to save both time and effort in daily warehouse operations. Focusing on continuous improvement will improve the overall performance and lower the overall labor cost. Make sure operations capture and manage critical KPIs. Understand and track critical productivity and costs on shipped orders, cost per box, and cost per line shipped. It is essential to measure and understand baseline information to be able to assess and put in place cost reduction measures. In short, you cannot improve if you do not measure! There is a clear relationship between warehouse productivity and profit. A medium size company with 40,000 pallet movements a year, in which 12,400 pallet movements require weighing, can save 3 minutes per weighment using a mobile fork scale compared to moving the load to a typical floor scale location. This saves the company approximately 37,200 minutes, or 620 man-hours. At an average warehouse rate of $35 per hour, the company could achieve a yearly cost savings of $21,700 ($1,808 per month). If one considers the cost of a mobile fork scale (including maintenance costs) the profitability gain would be more than $13,000 per year. Fairbanks customers have realized time savings per weighment utilizing the Fairbanks BlueLine WF Series fork scale on their forklifts. The weigh forks are completely wireless and use a rechargeable battery pack that works independently of the forklift. This savings was based on the time it took to drive a load to their floor scale and back to the trailer to be loaded compared to weighing immediately at the staging location. Trailers that previously took 3 hours or more to load were loaded in just over 1.5 hours. This substantial improvement in trailer loading times also reduced traffic back and forth from the scale, which in turn reduced dock congestion. Incorporating a weighing device into forklifts is an excellent way to reduce excess travel time to and from a traditional floor scale, thus allowing tasks to be completed more quickly. SOURCE: Eeron Bergstrom is director of market development at Fairbanks Scales. 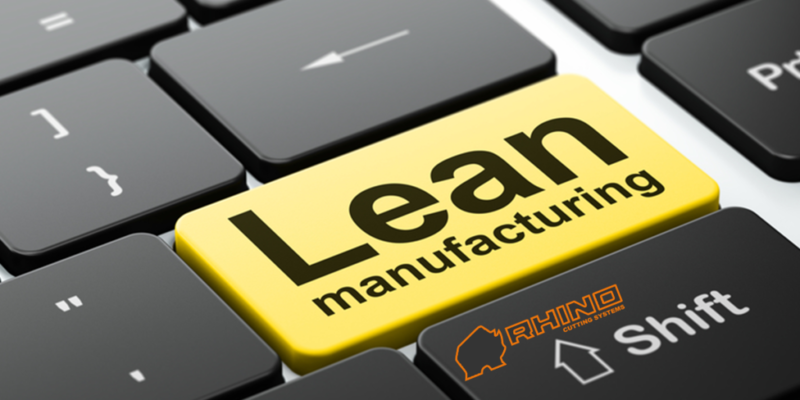 Do you know what Lean Manufacturing is? The concept of Lean Manufacturing has been a buzzword in the manufacturing industry for decades. Lean Manufacturing is focused on continually improving the companies’ processes and becoming as efficient as possible. When the methods and concepts are applied correctly, companies can become much more competitive and significantly increase their profits. That’s because the concept of “lean” is one of the most effective ways for manufacturing companies to become more productive, reduce their waste, and improve their efficiency. Below you will find 10 tips you can use to get closer to running a lean manufacturing operation. We hope you found the above-mentioned tips helpful and they will help you to start thinking about how your company will move forward in a “Lean” direction. Which of the “Lean Manufacturing” tips your company is following? Share your response in the comment section below. Fabtech Canada 2018 provides a convenient venue where you can meet with us, see our latest products, developments and technologies. Visit us and you will find the tools to improve productivity, increase profits and discover new solutions to all of your metal forming, fabricating, welding, and finishing needs. Come see us at booth #833 and checkout our latest technologies. At Fabtech, we will be showcasing our Spark Laser system to the world. Rhino Cutting Systems debuts the Fab Shop Series Cutting Table at Fabtech 2012 in Las Vegas, November 12-15, 2012.